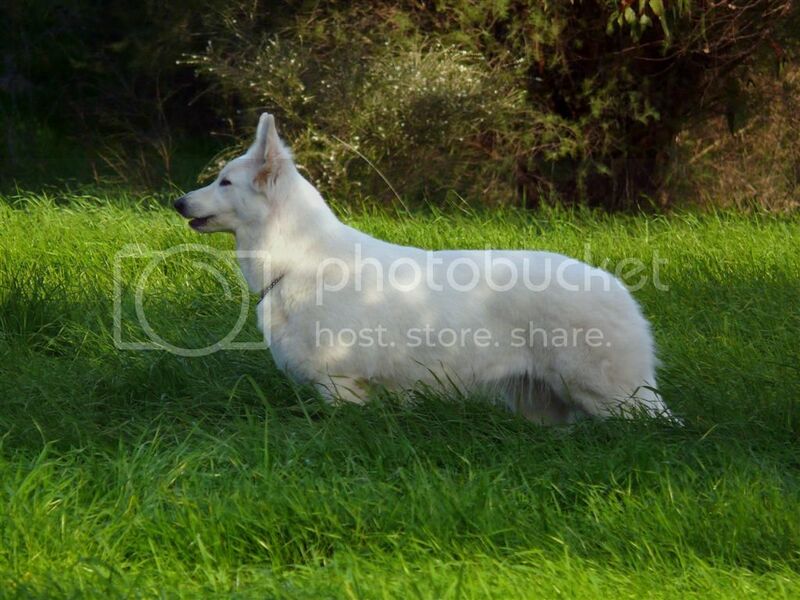 Portia arrived in Australia from Spain with another young female named Giselle late in 2013. 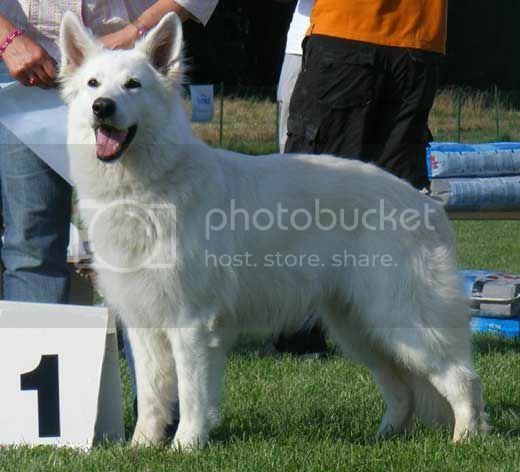 Portia has some fantastic bloodlines and her sire Al-Pacino of Haely's Future has produced two FCI World Champions, one of which has won this prestigious award twice, two FCI European Champions and multiple National Champions. 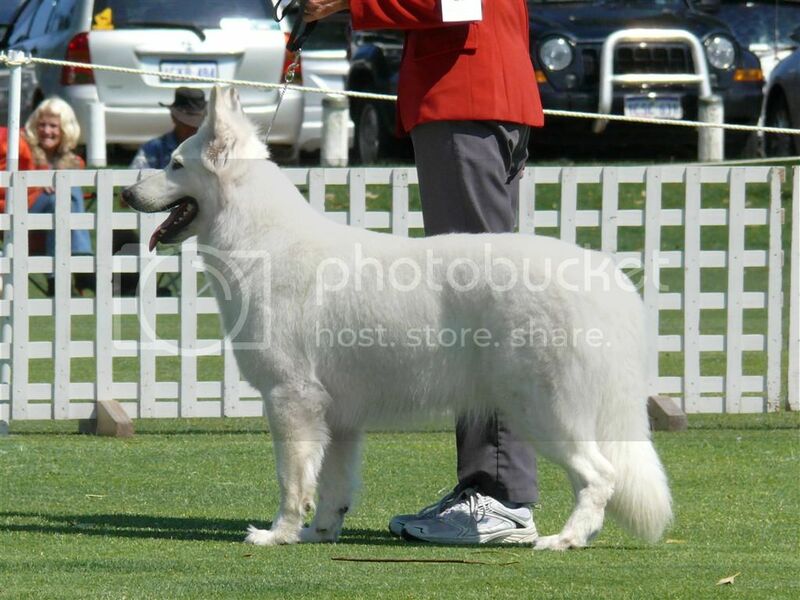 Portia's very correct structure and superb movement is testament to the quality of her breeding. 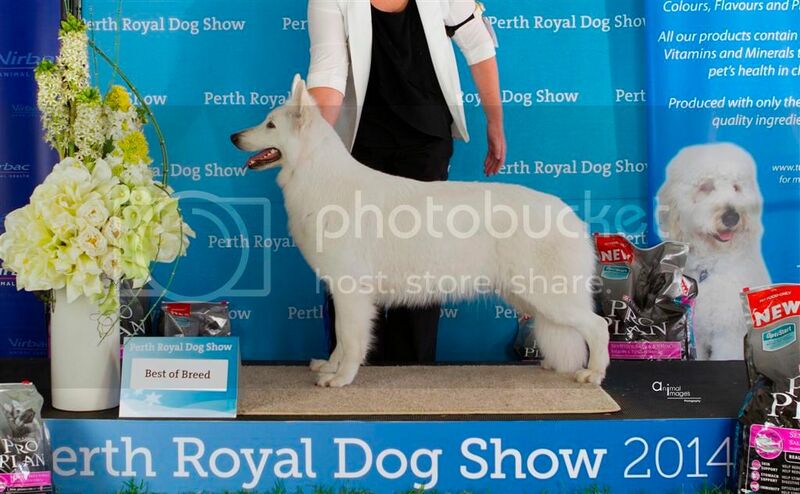 Portia has now earned the title of Australian Champion picking up multiple class in group awards along the way. 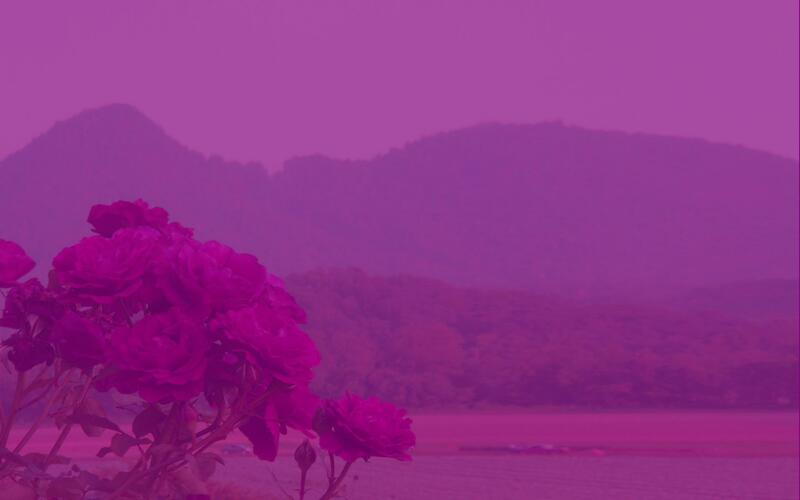 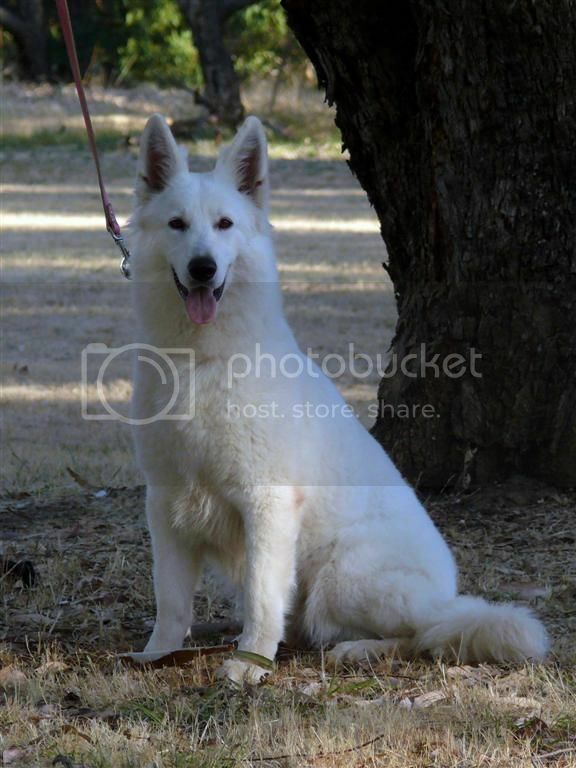 Portia has an open friendly confident character and handles most situations very well. 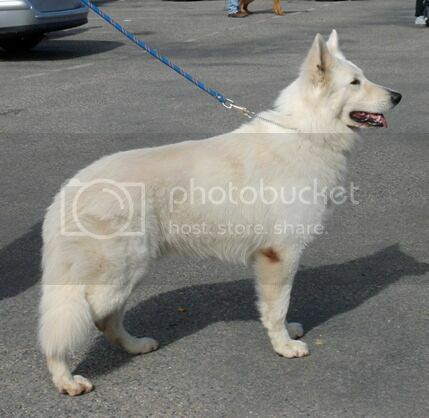 She is very easy to train and eager to please making her an easy dog to live with and work with. 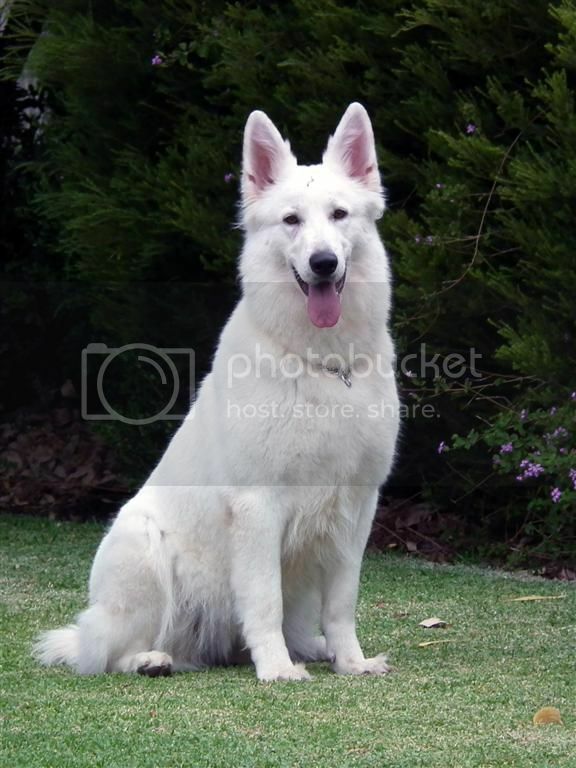 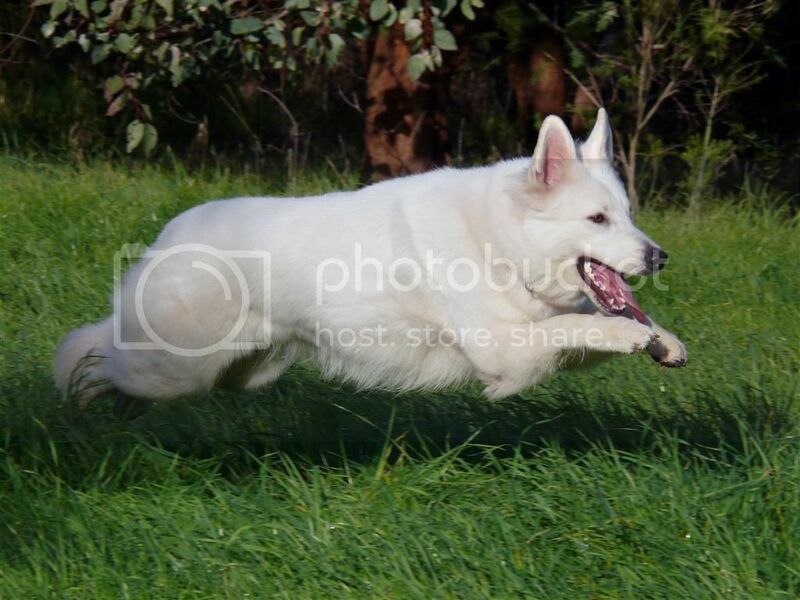 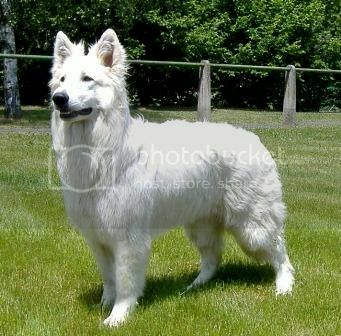 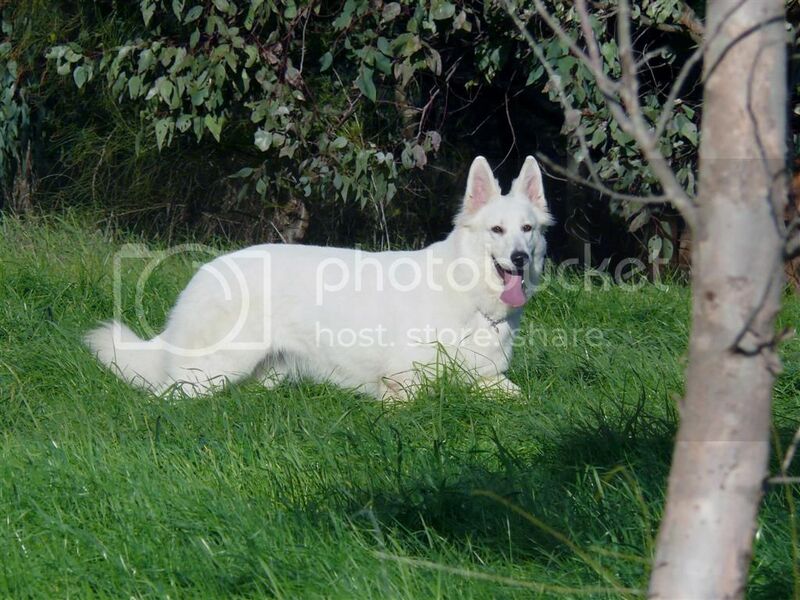 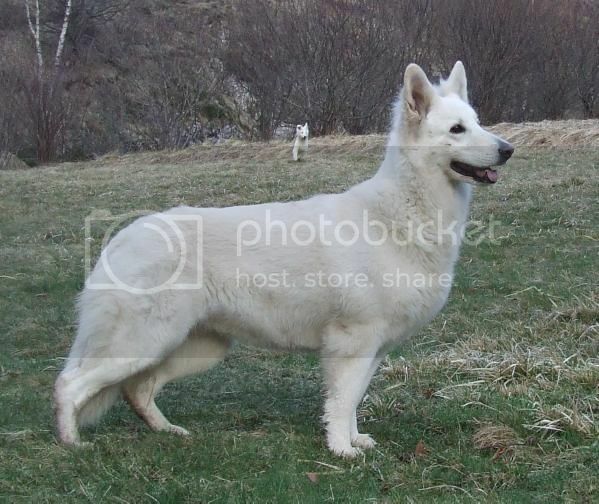 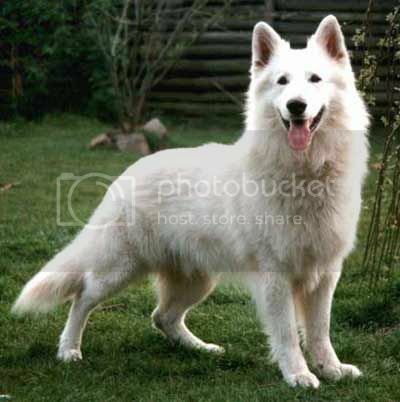 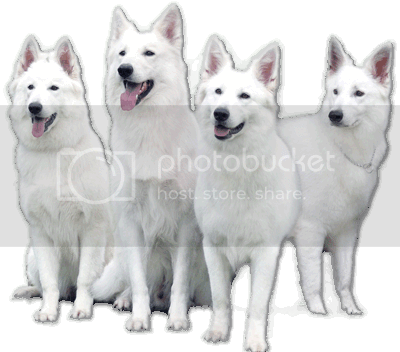 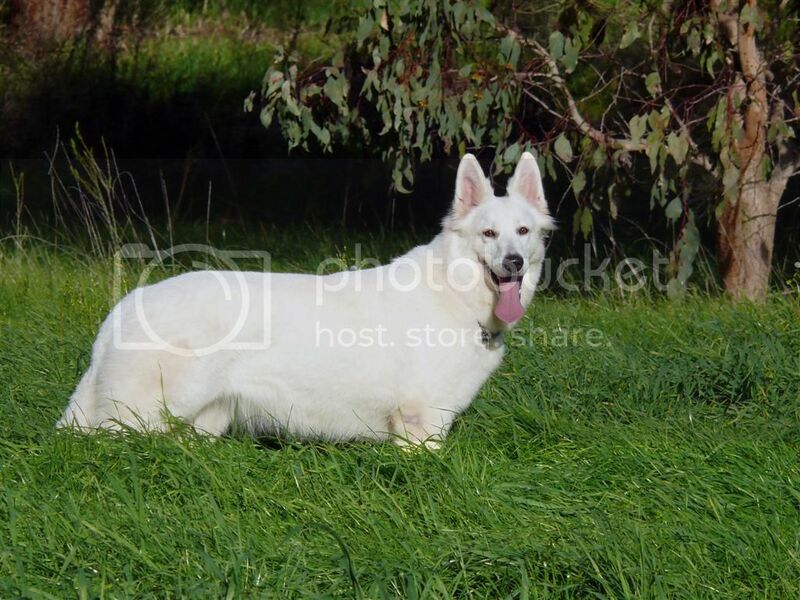 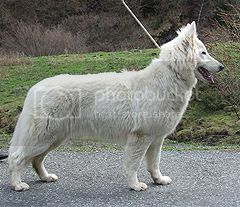 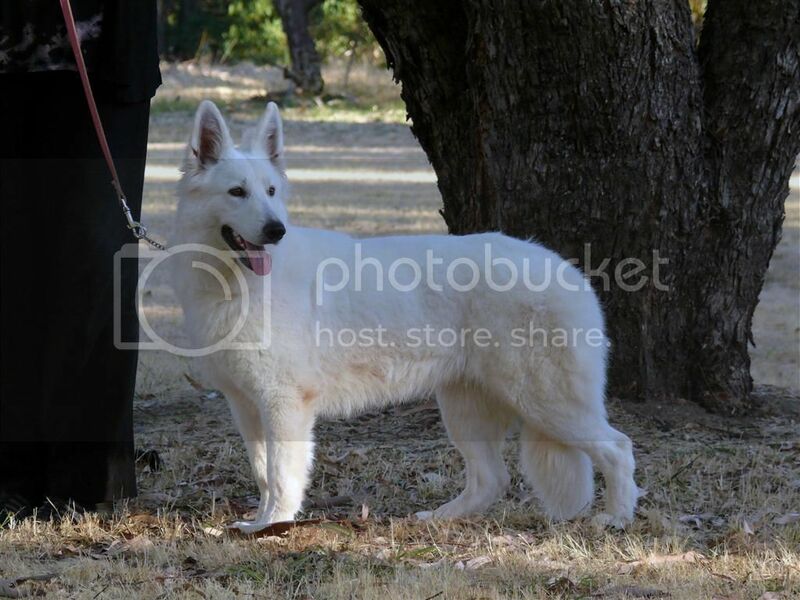 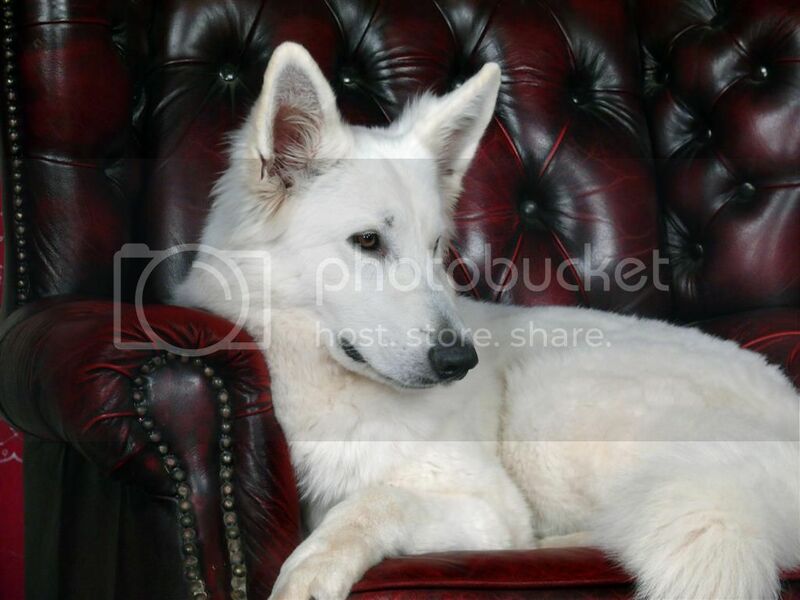 Besides having a lovely structure and movement she also has a beautiful thick white coat, pretty head, lovely pigment, excellent health results and is overall a stunning example of the breed. 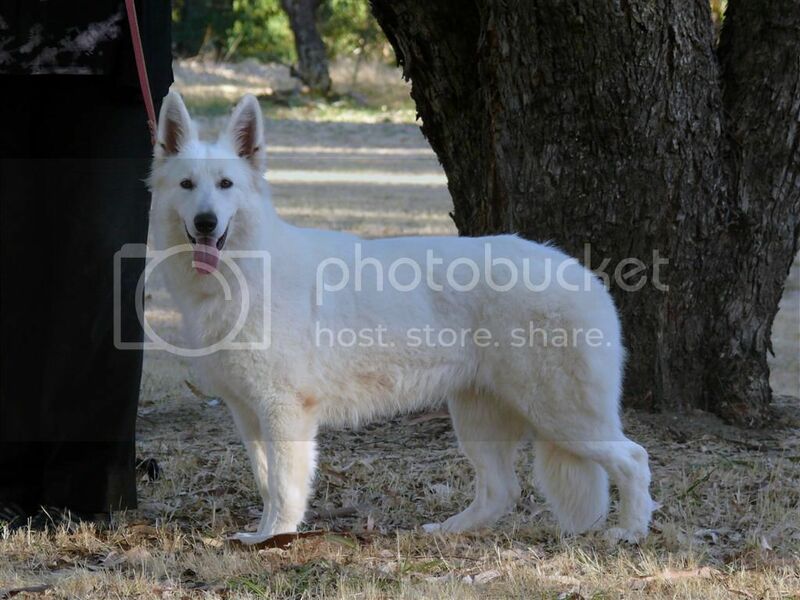 Thank you to Ulla and Nick of Trebons Berger Blanc for entrusting us with this beautiful girl. 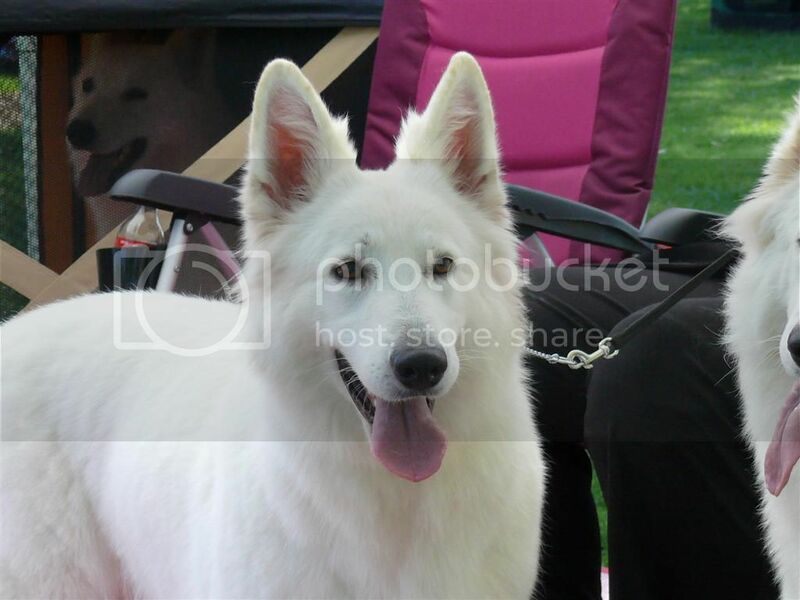 For more pictures of Portia, click here.